Release your inner pool shark at Slick Willie’s Family Pool Hall on West Reno near Meridian in Oklahoma City. There are no frills at Slick Willie’s, just an honest good time with reasonably priced pool, arcade games and other pool hall standards. Slick Willie’s is fully stocked with 30 eight foot Gandy pool tables and two high quality nine foot Brunswick tables. If you need a break from pool, challenge your friends to some air hockey, foosball or one of the several arcade classics like Area 51 or Big Buck Hunter. Take advantage of the generous drink specials including the happy hour special lasting from 11am until 7pm. Classics like pizza, hot wings, jalapeno poppers and nachos are available to satisfy the appetite. 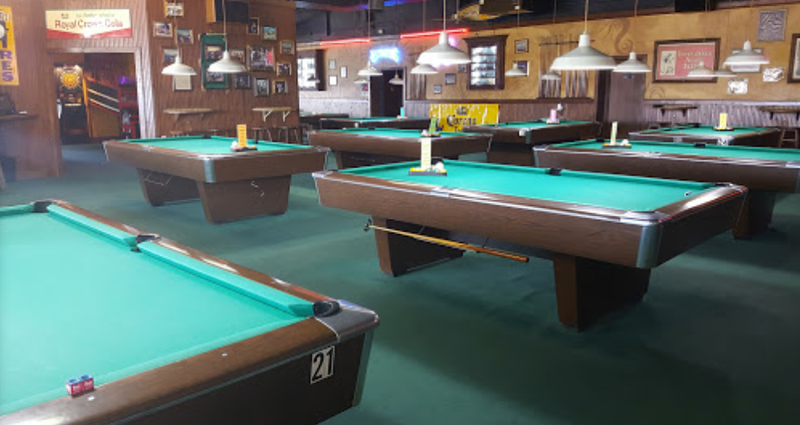 Whether trying out your luck in the weekly 8-ball tournament or just hanging out with friends, Slick Willie’s Family Pool Hall is a fun place to check out.